This post was originally seen on Cooking with Ruthie. I’m excited to share the full tutorial with you here now as well. Thanksgiving is one of my favorite holidays! I have such fond memories of being with my siblings and all us pitching in on making a delicious Thanksgiving feast. 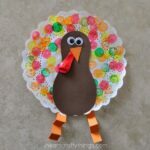 It’s also one of my favorite holidays for crafting with kids. 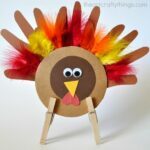 There are so many fun children’s books about Thanksgiving that we enjoy reading every year and along with them we love making turkey crafts. 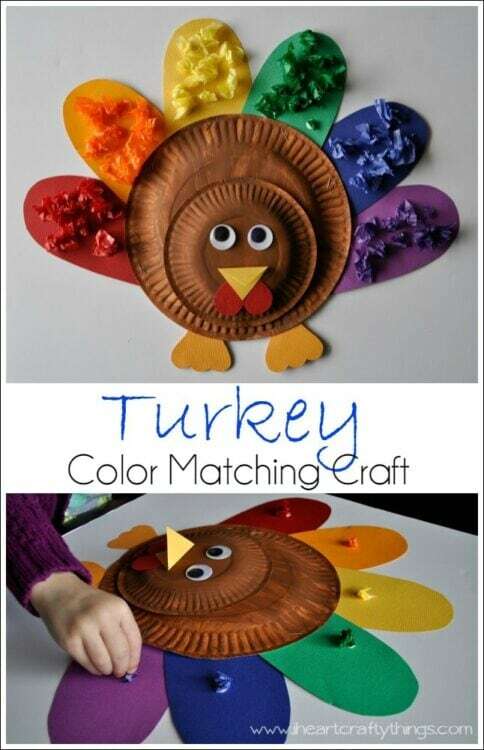 Today we’re sharing a cute and colorful kids turkey craft that incorporates color matching as a learning activity. 1. Start by painting the bottom of both of your paper plates with your brown paint. Let them dry completely. 2. 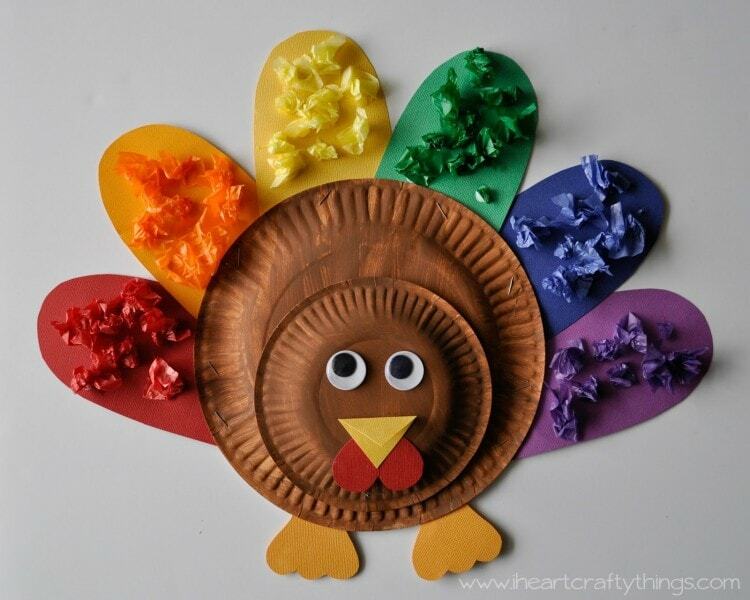 While the paint is drying, cut out a feather shape from your red, orange, yellow, green, blue and purple cardstock paper. I cut one out and then used it as a pattern to cut the rest of mine out. Also, cut out a beak, snood and feet from your left over red, orange and yellow paper. 3. 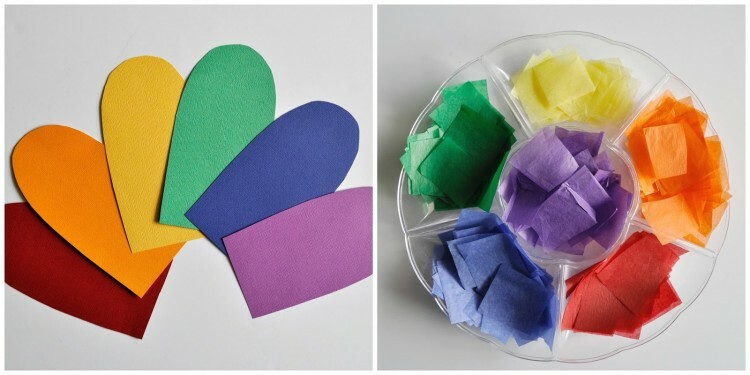 You can also cut out tissue paper squares from all of the colors while you are waiting for your paint to dry. 4. After your paper plates are finished drying, staple the small paper plate onto the bottom of the large paper plate. 5. Glue on your large googly eyes, beak, snood and turkey feet. 6. 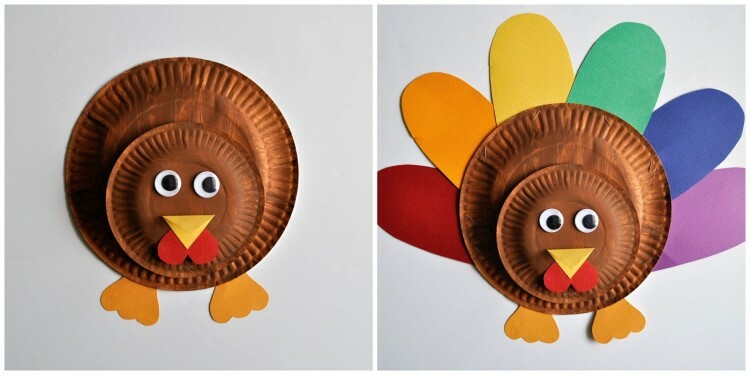 Staple your feathers all around your turkey. 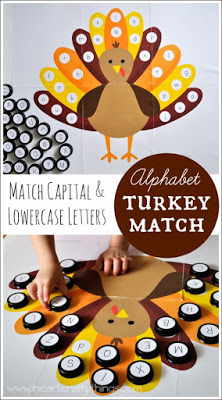 Now your turkey looks complete and it’s time to add some texture to the feathers and also practice color matching. 7. 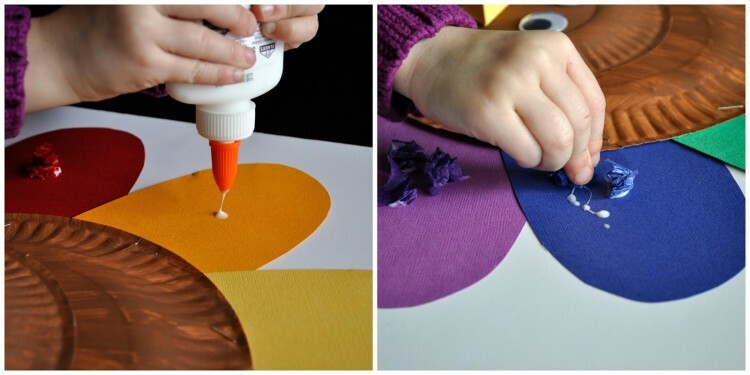 Place a dot of glue on a feather and choose a matching square of tissue paper to scrunch up and place on your glue. 8. Continue adding tissue paper squares on all your feathers until they are as full as you want. 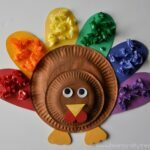 Not only did your child create a darling turkey craft to display for the Thanksgiving holiday but they got some color learning and matching practice in too. Win-Win!